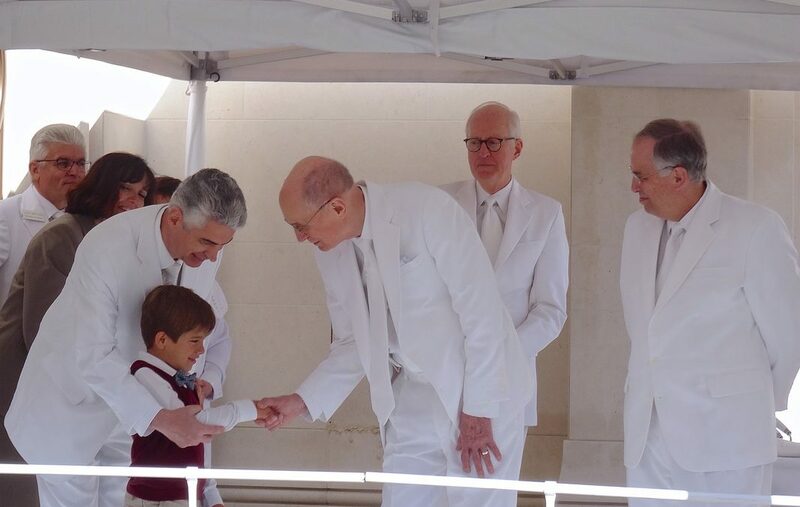 News released by Mormon NewsroomPresident Henry B. Eyring, first counselor in the First Presidency of The Church of Jesus Christ of Latter-day Saints, dedicated the Paris France Temple on Sunday, May 21, 2017. It’s the first temple in France and the 156th temple in the world. 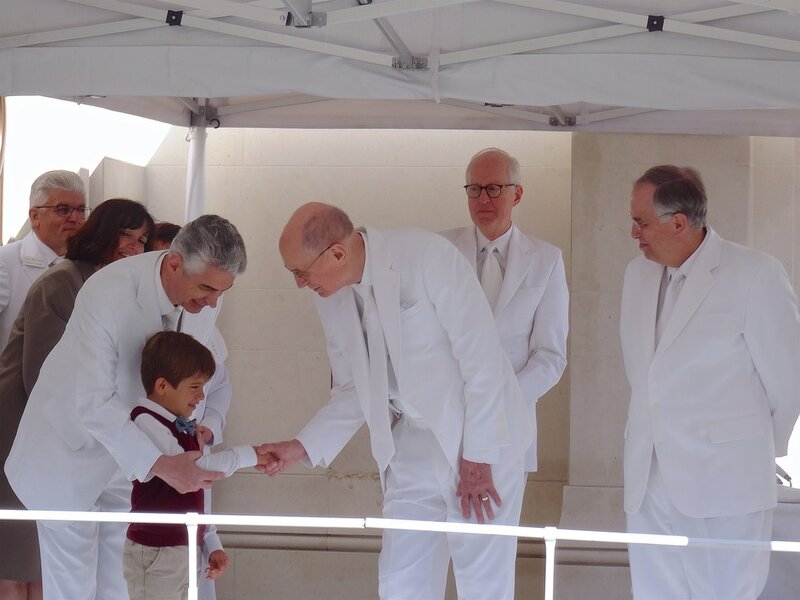 ​Joining President Eyring were Elder Neil L. Andersen of the Quorum of the Twelve Apostles; Elder Larry Y. Wilson, executive director of the Temple Department; Elder Paul V. Johnson, president of the Church’s Europe Area; and Presiding Bishop of the Church, Gérald Caussé. ​Latter-day Saint temples differ from meetinghouses or chapels where members meet for Sunday worship services. Temples are considered “houses of the Lord” where Jesus Christ’steachings are reaffirmed through marriage, baptism and other ordinances that unite familiesfor eternity. Inside, members learn more about the purpose of life and make covenants to serve Jesus Christ and their fellow man.